Ḥorvat Ḥermeshit (Khirbet Ḥarmush) is situated 6.5 km east of the city of Lod, on the northern part of a long spur, 206 m above sea level. It is bounded by Naḥal Naṭuf to the north, and on other sides by hills. No historical identification has been proposed for the site. The site was first described in the British Survey of Western Palestine as a ruin with burial troughs, pits, and structural remains. Between 1978 and 1985, the site was surveyed several times during the Israel Survey conducted by R. Gophna and I. Beit-Arieh. From 1988 to 1997, a detailed survey and excavations were conducted by the Israel Antiquities Authority and funded by Neot Kedumim—The Biblical Landscape Reserve in Israel—on whose land the site is located. 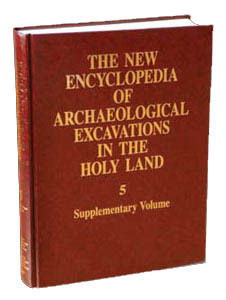 The excavations were initiated by Z. Greenhut (1988–1990) and subsequently directed by M. Yron-Lubin. From 1997 to 1998, the Israel Antiquities Authority carried out extensive preservation and reconstruction of the site. The residential compounds, agricultural installations, and other installations at the site are typical of farming communities in the Shephelah and western Samaria. These include cisterns, wine and oil presses, terraces, ritual baths, lime kilns, tombs, roads, and quarries. Most of the archaeological remains are located on the northern slope of the hill, but some have been found on the other sides of the hilltop; they cover a c. 36-a. area. Survey and excavation results indicate settlement at the site during the Late Hellenistic (Hasmonean), Early Roman, Byzantine, and Early Islamic periods. AREA B. Area B yielded remains from the Early Roman to the Umayyad periods.